In this clip the right leg is strongly illuminated by sunlight. The brightly lit part of the leg is only lightly haired and the muscles can be seen to flex. Watch as the right leg cycles through the load bearing process.These frames have been deblurred and contrast enhanced. The right leg has been aligned and stabilized. 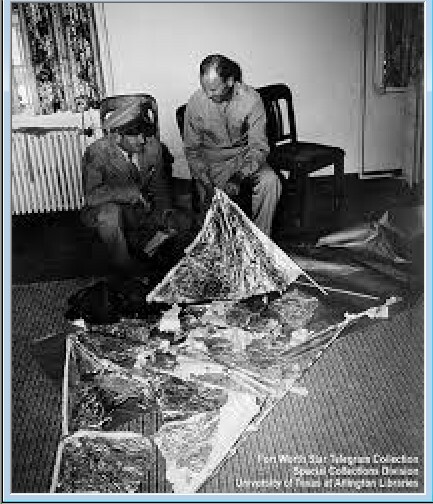 This letter was photographed in the hand of an officer that was viewing the balloon debris that was allegedly the cause of the flying saucer scare at Roswell New Mexico in 1947. While the letter is very small and at an oblique angle, it has not been impossible to determine some of the words in the memo. Here is my version of it…done as honestly and meticulously as possible with all I know about enhancement being applied to it. I hope that it means something to the reader.